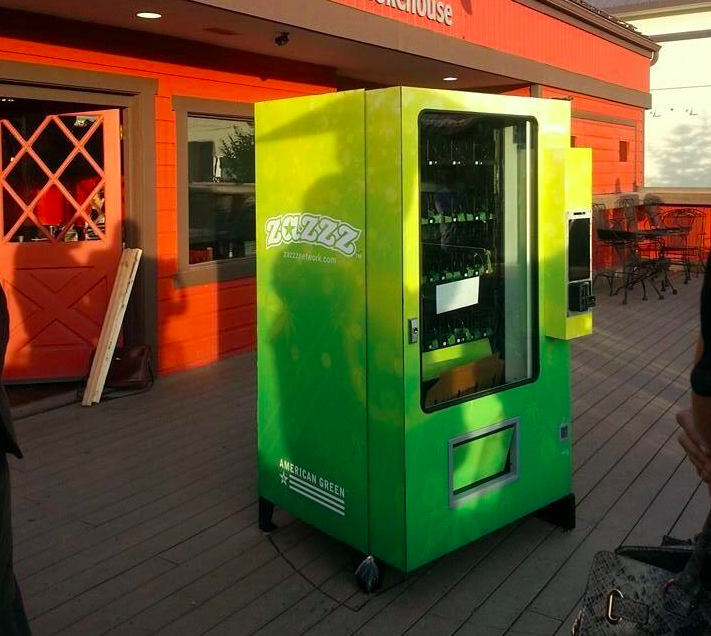 Marijuana vending machines have long been rumored to debut en masse in certain US states, but the first machine that can be accessed directly by consumers was finally unveiled at an invite-only event in Colorado last week. 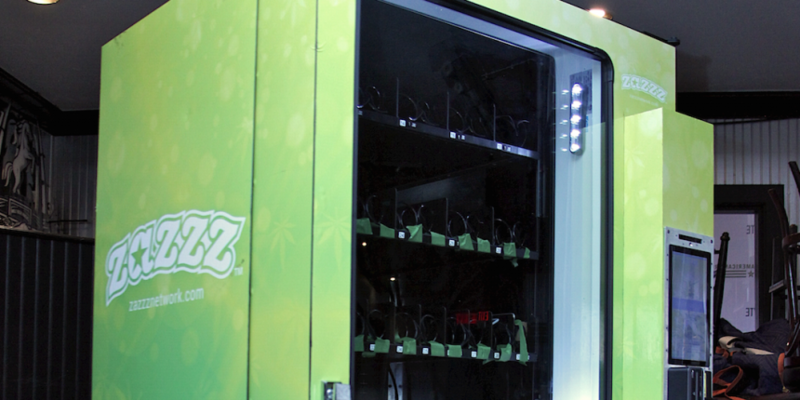 Billed as the first marijuana vending machine in America, the ZaZZZ unit is perhaps more accurately described as the first machine that will not be placed behind a sales counter. It offers a number of novel compliance features, including a driver’s license reader and a camera that captures video of users. ZaZZZ machines also have another notable feature: they accept only a limited number of payment options including the ZaZZZ Card, cash, and perhaps most notably, bitcoin. ZaZZZ indicates that its machines will serve as an ancillary service for dispensaries, appealing to those who want to make purchases quickly or who might otherwise be shy about buying marijuana. Once customers have selected their product, they move to the payment stage – where they can then opt to pay in bitcoin. The vending machine produces a QR Code which the customer can then scan with their smartphone. Once the machine accepts the bitcoins, the customer takes their product and the transaction is completed. Medical marijuana has been legal in Colorado since Amendment 20 passed in 2000. The policy was followed in 2012 by Amendment 64, which allows for the personal use of marijuana by all adults aged at least 21 in the state. However, while the policy is not new, the retail infrastructure to support the change has been slow to roll out. For instance, the first marijuana stores only opened on 1st January of this year. The relationship between bitcoin and marijuana in Colorado began with the use of the digital currency by dispensaries who, at the time, were unable to find financial partners. Some observers see the legal obstacles facing marijuana as similar to those experienced by bitcoin. Shearin went on to say that the grassroots nature of the digital currency movement, as well as its value-oriented benefits for customers like low transaction fees, made implementing bitcoin a clear choice.